If you don’t want to open your 401(k) statement, you’re not alone. But not paying attention to your retirement plan now will come back to haunt you later. Take these three steps to build a solid plan to ensure security in retirement. 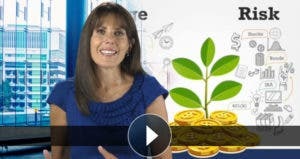 Linda Gadkowski, a fee-only Certified Financial Planner with Beacon Financial Planning in Cape Cod, Mass., says the amount you need to contribute to your 401(k) or 403(b) plan depends on your age. “If you’re in your 20s, it’s 10 percent (of income); if you’re in your 30s, 15 percent. If you’re 40-plus, 20 percent,” she says. Workers in their 40s who haven’t saved before should save the maximum, which is now $16,500 per year. For workers 50 and older, the limit is $22,000. If your company matches, you can include that in your calculations, says Gadkowski. For example, if you’re in your 20s and your employer matches 3 percent, then you should be saving 7 percent, for a total of 10 percent. “At least get the match,” she says. Instead, you should adjust your withholding to accurately reflect your tax liability, then put the extra money that would end up in your paycheck in your 401(k) instead. “Don’t get the money as a tax refund and blow it at Disneyland,” Gadkowski says. Confused by all the offerings in your 401(k)? You’re not alone. “The tendency is to offer more than the average participant can reasonably choose from,” says Nevin Adams, editor in chief of Plansponsor.com, which advises benefits and retirement decision makers. In its most recent annual survey of defined contribution plans, which included 5,600 plan sponsors of all different sizes, the median number of options was 17. The problem is, people will pick 10 stock funds and one bond fund. “In other words, they do the math based on the funds they have without understanding them,” says Adams. Rather than investing a bit in each fund, plan participants should split the offerings into different asset classes — for example, stock funds, money market funds and bond funds. “Then you can focus on more manageable subsets,” he says. A general rule of thumb is to subtract your age from 100 and invest that much in stock funds. For example, if you’re in your 20s, about 80 percent of your 401(k) assets should be in equities and 20 percent in fixed income. When you’re in your 30s, it should be about 70 percent stocks and 30 percent bonds, etc. Adams also points out that “you need to understand certain things about yourself. How comfortable are you with seeing your account balance wobble up and down?” Less risk tolerance means you may wish to allocate more to bonds. Although every individual has different needs, Gadkowski generally recommends that participants choose at least four options: a large, midsize and small-cap fund, as well as a bond fund. “If they have a company stock option, that should be no more than 10 percent (of the portfolio’s allocation),” Gadkowski says. In recent years, employers increasingly have included target-date funds in their lineups. These are one-fund solutions to the asset-allocation quandary that novice investors face. Bankrate’s story on target-date funds explains their pros and cons. Once you make your fund selections, you can coast along. But you do need to do an occasional tuneup. She suggests looking at your 401(k) every quarter, and rebalancing it every year. Reduce your winning investments to an appropriate proportion of your overall portfolio. That strategy is known as buying low and selling high. Another consideration if you don’t want to track investment earnings every year for Uncle Sam: Invest in a Roth IRA. Start worrying about it earlier by assessing your future income needs, and you’ll have a much better chance of enjoying a happy retirement.